Description: The Royal Court Theatre and Kudos Television production company have created three new Fellowships for writers already establishing a career. The fellowships will offer three writers a £10,000 bursary to support themselves in order to focus purely on their writing for six months. What’s so great about it? 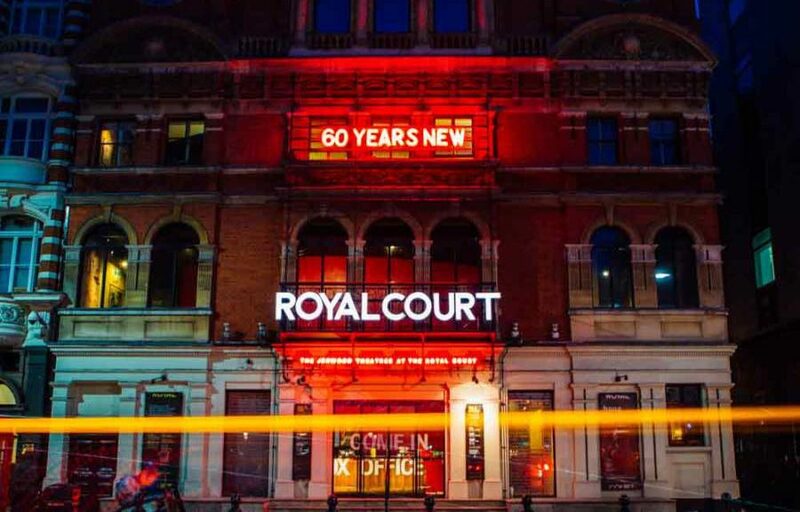 It’s not often you get the chance of a £10,000 bursary to allow you to focus on your writing alongside an opportunity to work with two hugely renown companies (The Royal Court and Kudos). For this one, the Royal Court and Kudos are specifically looking for writers who perceive that there are barriers to getting their work developed and produced in theatre and television because of class, disability, education, ethnicity, gender identity, geography or any other barrier – we think opening the doors for someone who has faced any of these barriers is a great thing! If you want to apply, you’ve got until the 16 November to send your full length scripts in, good luck! At this moment they are looking for short scripts approx 10 minutes long to showcase. Step inside Bloomsbury Publishing as they explore the rebirth of Broadway musicals and theatre over the past twenty-five years from ‘Angels in America’ to ‘Hamilton’. Join them s as the Chicago Tribune’s chief theatre critic, Chris Jones, is in conversation with Matt Wolf, theatre critic of The International New York Times in London, on how theatre thrived by finally figuring out how to embrace the bold statement and insert itself into the national conversation for one night only. Chris and Matt will debate how key productions staged since the early 1990s have swept through Broadway but also London’s West End and have much to say about the state of attitudes in society and culture on both sides of the pond then and now. WE (University of the West of England) have announced a Workshop Training Opportunity for BME writers pursuing a TV writing career. The need for exciting, diverse voices and stories in media has never been greater. Are you wanting your voice to be heard? Are you a BME performance writer looking to tell your story in the TV industry? UWE Film offer a series of workshop training opportunities, designed to enhance your TV writing skills, gearing you up for the next step in your career. The workshops will focus on advanced approaches to tone, voice and engaging character development in television writing, increasing your productivity as a television writer, and how to work in, and run writers’ rooms. They are seeking applicants for this free writing course, which will be headed by experienced TV and feature film screenwriter, Sean Robert Daniels. Workshops will be scheduled outside working hours, where possible, and will continue until January 2019.
be a BME performance writer residing within, or close to, the greater Bristol area or South Wales. submit a single script as a writing sample. The script should be a complete work, no shorter than 15 pages. Orisun is a new theatre production company aimed at the African & African Caribbean creative community. Their first production – Spring Board Showcase – will be a series of 6 ten minute monologues to be performed on 30 & 31 January 2019 in an immersive setting based around the themes of spring, source, fountain or origin. They are looking for submissions of monologues now. Scene Gym are accepting submissions for an R&D project to be held over 5 consecutive days early in 2019. What they are looking for: two, new, full length plays that writers feel would benefit from practical workshopping to support them with their final stages of development. Each play will be workshopped by actors and a director, with the writers present. Criteria: plays need to be full length (no less than 60 mins) and not yet performed. Fee: the fee for the R&D project is £500 per writer.